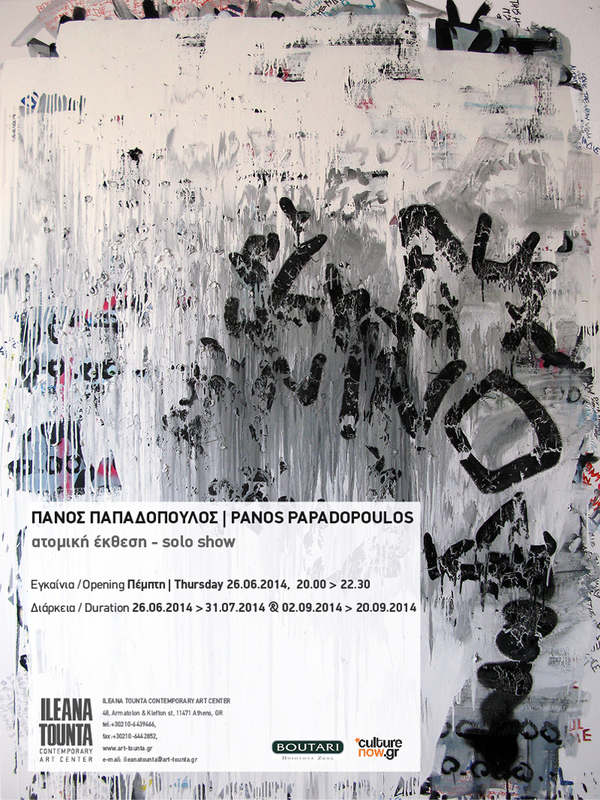 Panos Papadopoulos presents his latest large scale paintings with clear references to the notion of Speech and its tracing through painting. 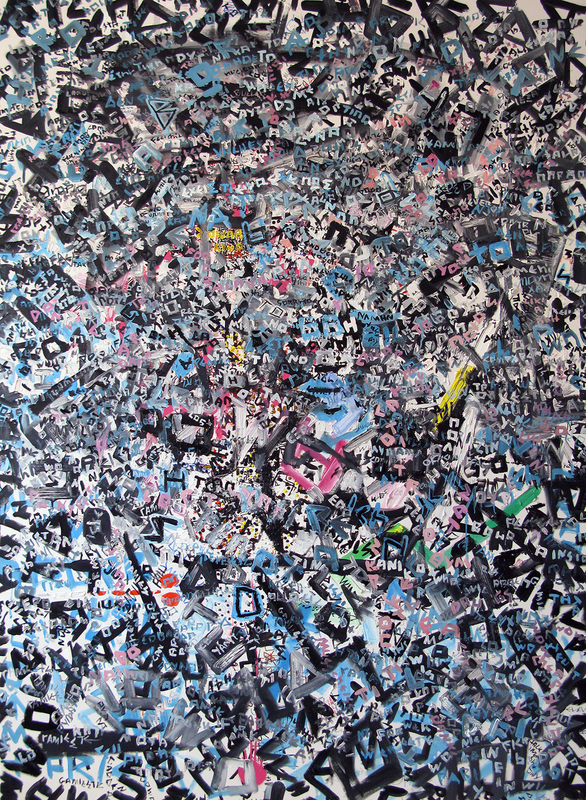 Inspired by themes of the contemporary urban culture and street life he attempts to comment on the transformation of the urban landscape and the need of social groups to express themselves using public facades of buildings, open spaces, etc. 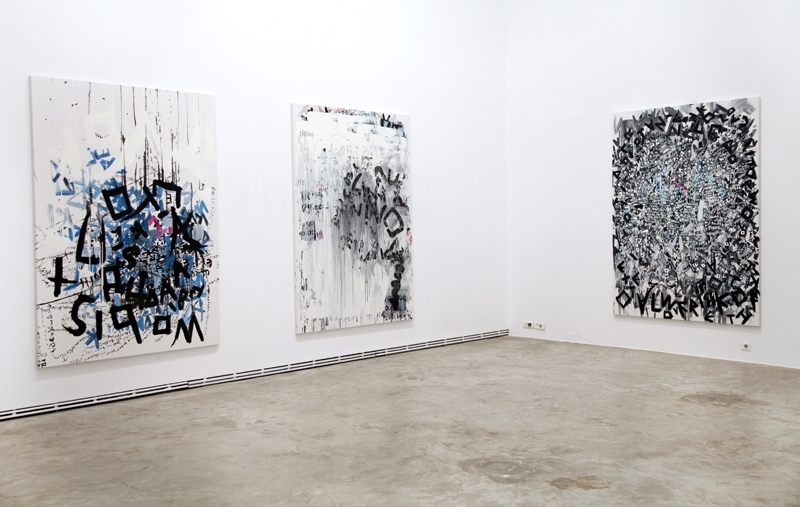 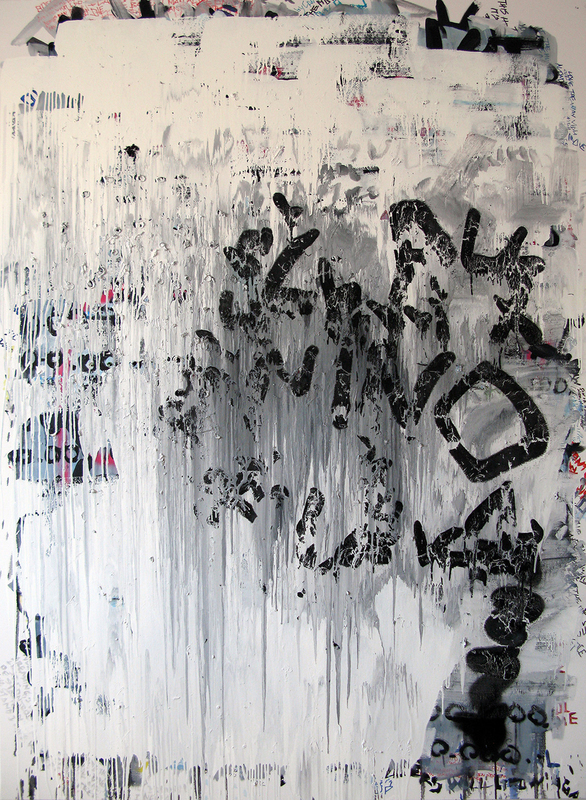 Therefore, with his personal gesture and the capture of phrases on the canvas, the artist captures in the gallery space part of the contemporary urban culture. 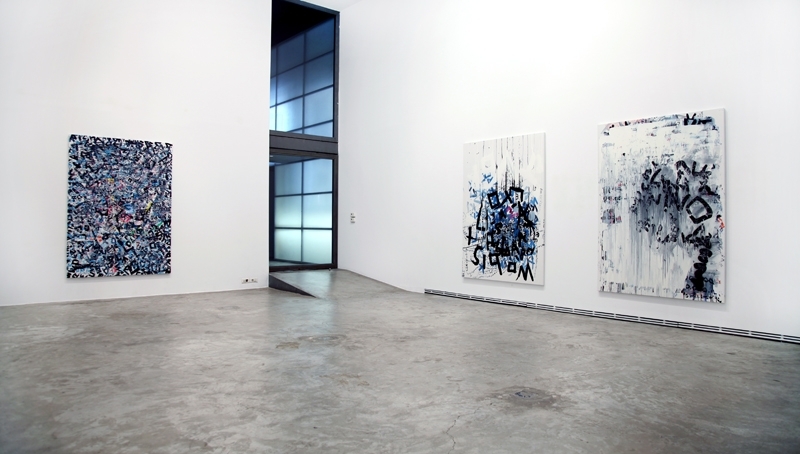 His paintings incorporate elements of contemporary expressionism with strong references to the characteristics of the contemporary Central European School. 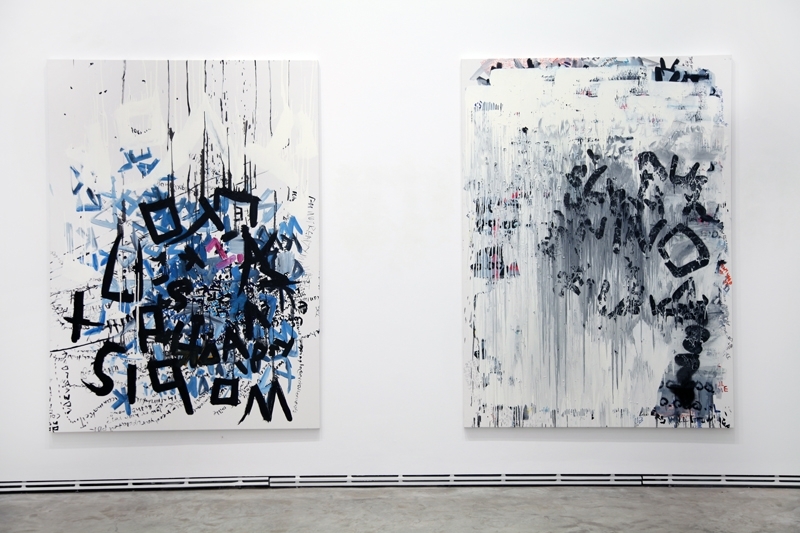 The words, the phrases and the unconscious sentences that the artist transmits to the canvas, are taken from important writers and combined with his own invented elements that bear strong criticism and humor.